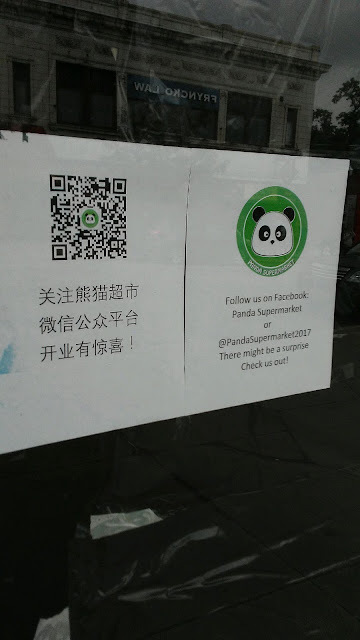 PennsylvAsia: Panda Supermarket (熊猫超市) in Squirrel Hill now aiming for July 18 opening, offering discounts to customers who like the store's Facebook page. Panda Supermarket (熊猫超市) in Squirrel Hill now aiming for July 18 opening, offering discounts to customers who like the store's Facebook page. 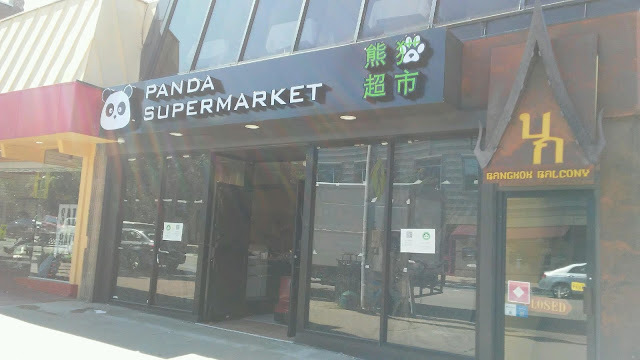 Originally scheduled to open on July 12, Panda Supermarket (熊猫超市) in Squirrel Hill is now planning a July 18 opening. Customers who like the Asian grocery store on Facebook will receive a 10% discount. The store is located at 5846 Forbes Ave. (map), on the first floor beneath Bangkok Balcony in what was most recently a mattress shop. July 27, 1959: "End of the Road for Chinatown". Pittsburgh Magazine: You should know Jasmine Cho. Szechuan Spice to open July 25 in Shadyside. Panda Supermarket delays July 18 opening. Mongolia's HAYA to make US debut at IUP in 2018. Shadyside's Szechuan Spice looks about ready.